Yes, Scott’s Pond has a pond but its in the very back of the neighborhood so you might not see it. The homeowner association actually stocked it with carp recently. The first homes were completed in Scotts Pond in 1998 . Construction continued until 2007. 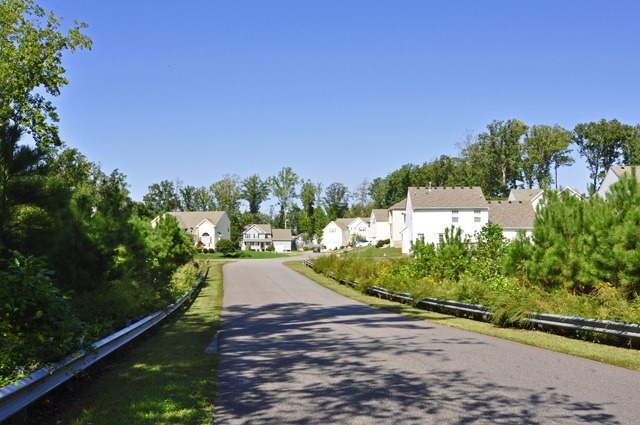 The neighborhood encompasses 142 acres. 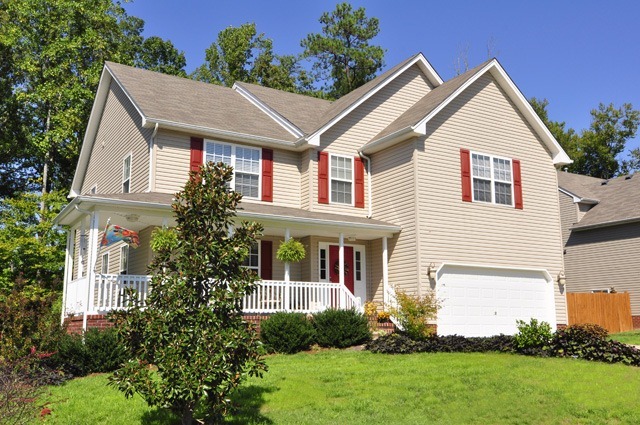 Home sizes range from 1700 to almost 3200 square feet. 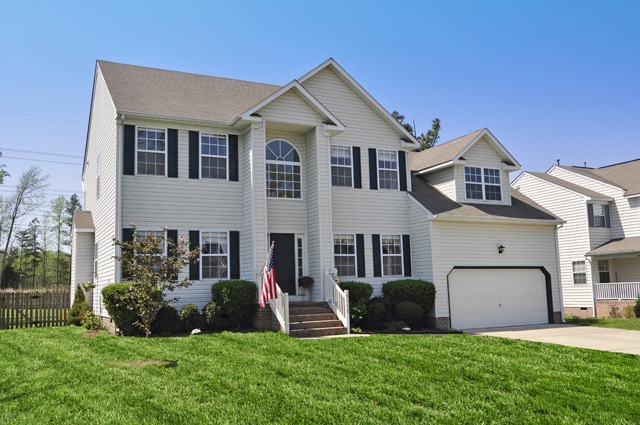 Two story homes are the predominant style although there are a few one story ranches scatter within. 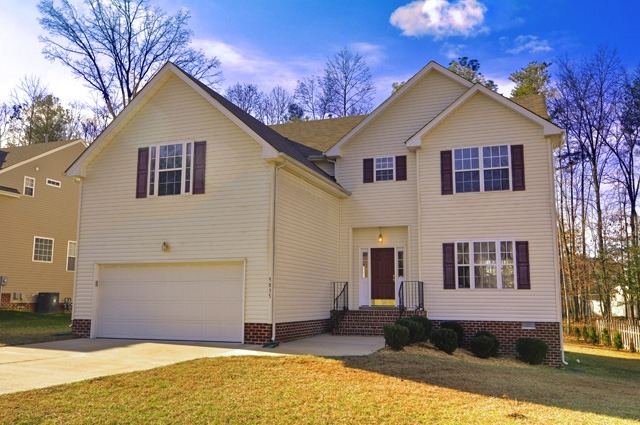 The builders in the first phase included Williamsburg Building Corp and Pace Construction. Construction of the second phase of Scotts Pond ( in the rear) started in 2003. Homes there were built by Arcadia Construction and Patriot Builders. There are two homeowner associations in Scotts Pond. Homeowner fees are minimal at $125 and $110 a year for section one and section two respectively. Section two is self managed by homeowner volunteers. Their website is here Scotts Pond Homeowner Association Website . Section one ( Front of neighborhood) is managed by Brooks Real Estate. Their Website is here. If you don’t know which section a home is on simply look on the James City County Property website and look at the legal description. It will indicate section, one, tow or three. Many of the streets within the community end in cul de sacs which keeps traffic to a minimum and makes the neighborhood child friendly. There are neighborhood trails that will take you to Scott’s Pond where you can see the work of beavers, water birds, turtles, frogs and sometimes a snake. This area is home to many other wildlife like deer, fox, raccoons, and many squirrels and rabbits. Bird watching is a wonderful experience, especially if you feed them. This is a community of diversity, with young families with children, retired folks and all those in the middle. You’ll feel like you are surrounded by nature, yet have an abundance of restaurants, shopping and amazing historic areas just minutes away. 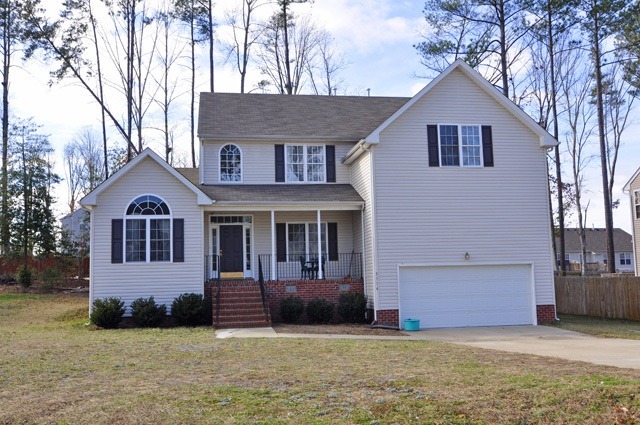 Scott’s Pond is located in James City County, Virginia which has one of the lowest real estate tax rates around. Real estate taxes are only $0.77 per hundred dollars of assessed value. 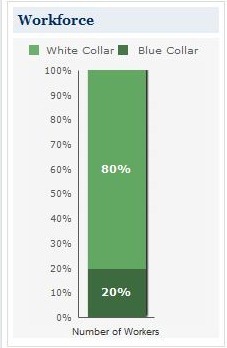 Annual taxes on a $300,000 home, would be $2,310 ( YES, THAT’S CORRECT) Two Thousand Three Hundred and Ten Dollars Annual taxes. From Richmond Rd, Turn Right onto Olde Towne Rd , go .5 mile and turn right at Scotts Pond Dr. Or Rt 199 to Longhill Rd West to Rt on Olde Towne Rd, then left onto Scotts Pond Dr. 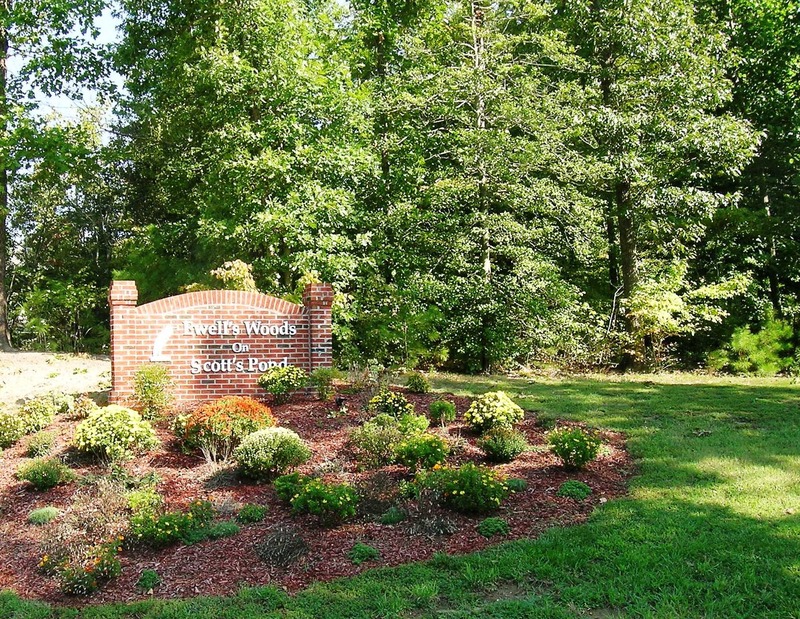 Living in Scott’s Pond has been ideal for our family, with a great high school close by for our daughters and the convenience of a grocery store a mile away. 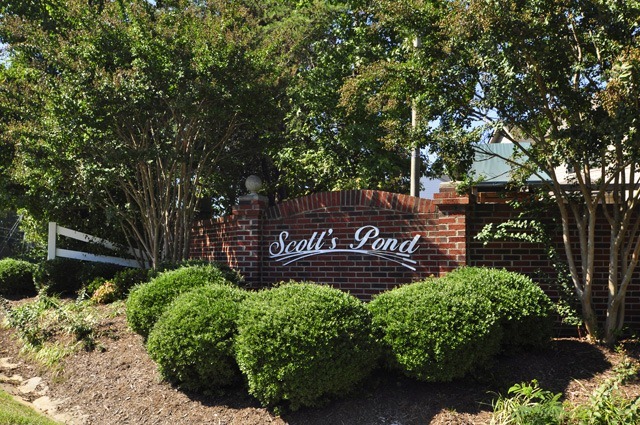 After our five years here, we know you will love Scott’s Pond just as much as our family. Personally, I have loved the company of friendly neighbors on my daily evening walks. My husband and I have felt very welcomed by our fellow homeowners, enjoying their company during neighborhood get-together or in backyard cookouts. 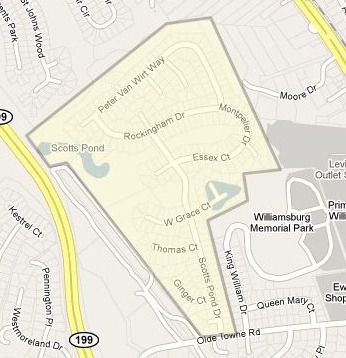 If you live in Scotts Pond Please post your comments below about living in the neighborhood. 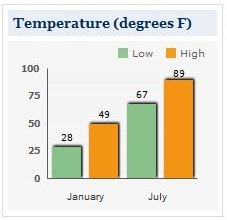 The Temperature chart displays average high and low values for January and July in the Williamsburg VA. area. It is designed to provide an indication of both seasonal and daily temperature variability. 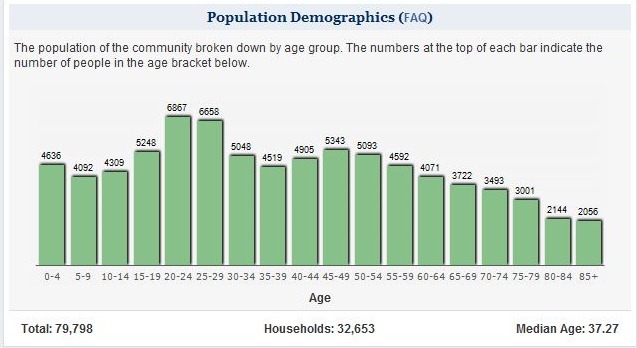 The Community Educational Index chart for Williamsburg/ James City County Va is based on the U.S. Census Bureau’s Socioeconomic Status (SES) elements. 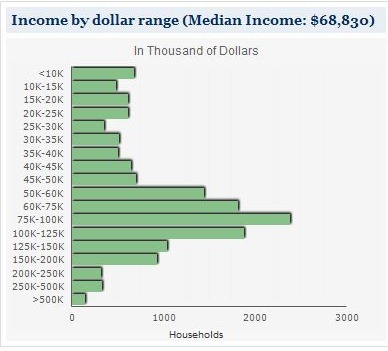 Factors used in creating the index below are income, educational achievement, and occupation of persons within the selected ZIP code. 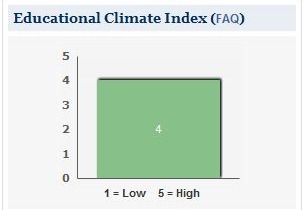 Since this index is based on the population of an entire Zip code, it may not reflect the nature of an individual school. 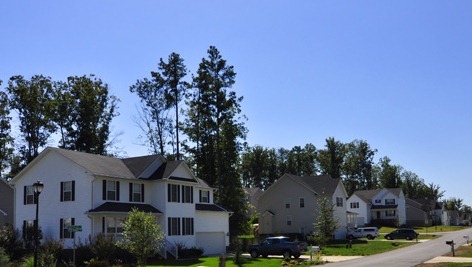 The Crime Index for the Williamsburg VA area compares the risk or probability of future occurrence of certain types of crime in this community as compared to the national average. The national average for each type of crime equals a score of 1.0, so a score of 2.0 would represent twice the risk as the national average, and a score of 0.50 would represent half the risk of the national average. 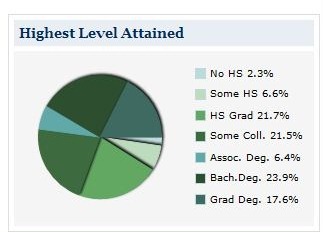 You can see that in most categories we are far below the national average.